The graph shows data on consumer opinion on advertising helpfulness in Canada as of October 2013. It was found that 15 percent of Canadians deemed advertising as very helpful in their decision making. 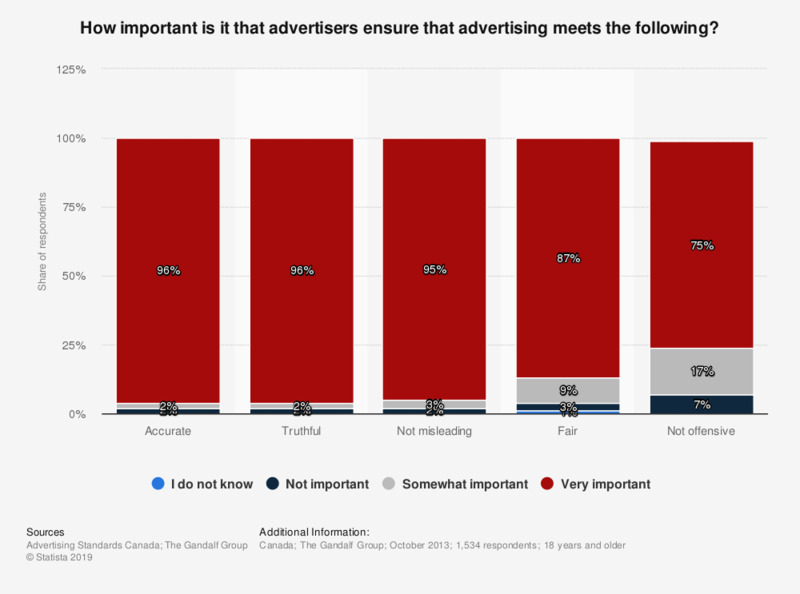 During the survey, this question was posed as follows: "Please tell us on a 1 to 9 scale where 1 is not at all important and 9 is very important, how important it is that advertisers ensure that advertising is…"